​Strength and high speed drilling combine to deliver unmatched productivity. 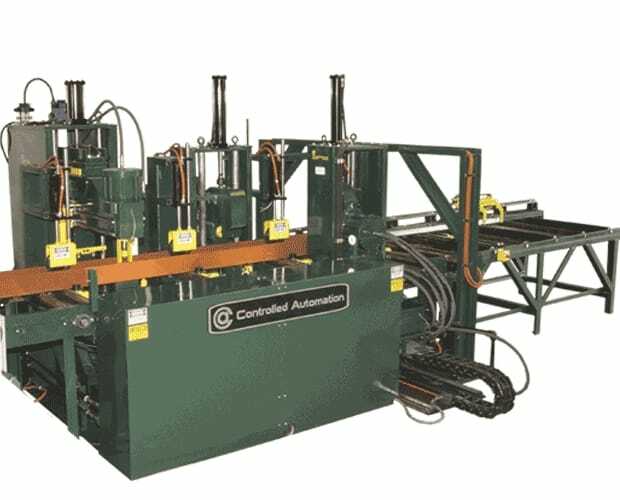 This machine has been designed and engineered to provide the maximum productivity, while using less floorspace. This is a versatile drill system with a 5 station automated tool changer on each of the 3 spindles. A portable gantry style drilling machine, designed to provide fast and accurate multi-ply drilling of structural girders. CNC controlled beam punch line offering the ability to have shaped holes. This machine can process both flanges and base plates without limiting you on speedy production. Structural Machinery Solutions, Inc. was created when Dave McCorry and Mike Drzewiecki teamed up in a 50:50 partnership to purchase Kaltenbach, Inc. from the erstwhile German parent group. The extended company portfolio now includes machinery from several other manufacturers - not just Kaltenbach.